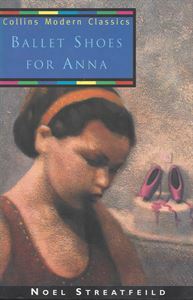 For Anna, everthing takes second place to her burning desire to dance. Even the earthquake that destroyed her Turkish home has not made her think differently, only now she's stuck in a prim suburban household with an uncle who "doesn't approve" of dancing. What can Anna do? Not only is there no one to give her lessons, but there's no money for them either, and, anyway, dancing's forbidden. Will she ever become the ballerina she longs to be?